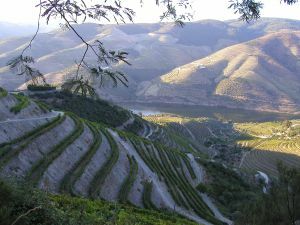 The terraced vineyards of Alto Douro in Portugal. Photo by Bruno Rodrigues. THE Great Wall of China. The Pyramid Fields from Giza to Dashur. Chartres Cathedral. Timbuktu. The Acropolis. Alto Douro. All of these places are designated UNESCO World Heritage Sites. Sounds like a band that used to headline for Duran Duran. Not quite. Alto Douro is a Portuguese wine region and a UNESCO World Heritage Site (http://whc.unesco.org/en/list/1046), with good reason, too. Producing more than 200 indigenous varietals for more than 2000 years, Portugal is one of the wine world’s treasures. Douro, part of Porto, Portugal, produces ports of distinction, hence the name. Carmim Aragonês 2008. Photo by Carmim. Spurred by sharply declining port sales 15 years ago, Portuguese vintners began to craft wines from indigenous grapes traditionally used to make port. Other regional winegrowers, such as those in Dao, Alentejo and Barraida, began to tweak their vines with an eye toward producing exportable wines. 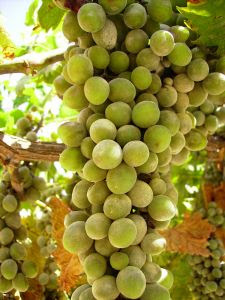 Ah, Touriga Nacional. Ya gotta love it! Click on the link to see the write up in the previous edition: “RICO, Pt 1: Outing the Accidental Wine Mafia” (http://www.vevlynspen.com/2011/05/rico-pt-1-outing-accidental-wine-mafia.html). Directions for all of my Portuguese friends: please skip two sentences. 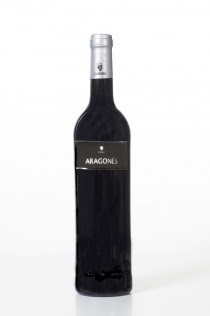 Everyone else: Aragonês is Portugal’s answer to Spain’s Tempranillo. If you happen to say this in front of Portuguese people, watch out for a right hook. 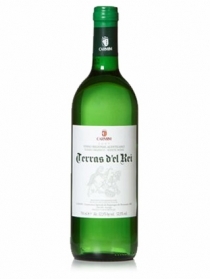 A hearty red wine, Aragonês’ good tannins temper nicely in oak, leaving a spicy aftertaste. A map showing the winegrowing regions of Portugal. Photo courtesy of Cellar Tours. A few years back, Vinho Verde was all the rage: a light Portuguese white wine that promised to give Pinot Grigio the old heave-ho. Alvarinho is a type of Vinho Verde, but don’t mistake it for an innocuous forgettable give-me-anything-cold-to-drink type wine. Alvarinho has character for days. Pop open a bottle and a glorious fragrance rises up, enticing your tastebuds (strong nose, specifically floral and citrus). Its taste matches the full nose point by point. Mark my words: Portuguese wines will be the next big thing. Remember when people first balked at the idea of Australian wines? Well not any more. The same will come to pass with Portuguese wines. Great price points, easy drinkability and the expanding American wine palate create a perfect trifecta for the Portuguese wine market boom. That being said, finding Portuguese wines right now can be a bit difficult, but not impossible. Check out the collection at 67 Wine (http://www.67wine.com/category_Portugalwine), a glorious independent wine boutique in New York City that’s not afraid to try new things. Carmim Terras d'el Rei. Photo courtesy of Carmim. Its scent (nose) surprises – rather leathery. The first few sips smacks of flowers, very much like those little English purple pastels in hoity-toidy pharmacy-cosmetic places (read: violets. Really. Steal Aunt Minnie’s blooming purple, pick off a leaf or two, chew, and there you have it. Then call the Poison Control hotline, just to be safe.) From its time in oak, Carmim Aragonês’ floral beginnings fade to reveal a hint of herbs (middle finish: thyme). A luscious drink, soon to be released in the United States. The grapes that spawn Vinho Verde. Photo courtesy of sxu.hu. Take Touriga Nacional, throw in a dash of Aragonês, and add a touch of Syrah, and presto! A magical wine appears. Imagine the heft of Touriga Nacional, the spiciness of a Syrah and the round full softness of an Aragonês, and what else can be said but perfect elegant balance. Smooth as silk, the wine unfolds. Spices (nutmeg and clove) temper Aragonês’ fruitiness and resembles, of all things, roasted butternut squash. 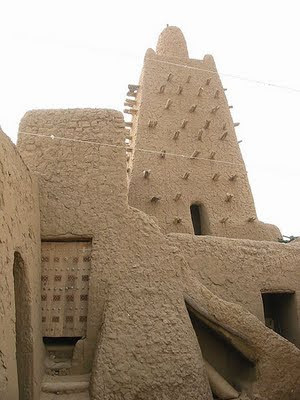 Timbuktu's Djingareiber mosque has the ring of a UNESCO World Heritage Site, whereas Portugal's Alto Douro wine region does not. Photo courtesy of KaTeznik. Known for its port, the Kopke label has created a little gem of a summer white. A blend of indigenous wines, this refreshing drink masquerades as a Sauvignon Blanc with a hint of pear. What makes it different? Instead of the Sauvignon Blanc’s tell-tale green pepper, imagine a lingering delicious aftertaste (long finish) packed full of fruit. Not too sweet, Kopke pairs perfectly with cheeses and fruit.